After exhausting every conventional medical migraine treatment and to no avail, I began my own personal quest to becoming migraine-free, and upon this quest I became obsessed with all things health and wellness. As my body began to heal I started to realise that knowledge was power so I decided that I wanted to take this new passion of mine to the next level so I enrolled at The Institute for Integrative Nutrition and I began my journey to become a health and wellness coach. Joshua Rosenthal the founder of IIN explains that you could be eating the worlds healthiest diet, full of kale, matcha and green juice every day, but this doesn’t mean that you are going to be healthy. Health is so much more than the food we eat. Health is determined by the relationships in our lives, the way we move our bodies, how we are connected spiritually and the purpose we have in life. This is what he calls primary food, which is more important than secondary food which is the food we put into our bodies every day. When I understood this concept I began to apply it to my own life, not just addressing my diet but finding my purpose, making new positive friendships and developing a spiritual practice which all benefited my healing. Motivational speaker Tim Ferris says that you are the sum of the five people that you spend time with the most and when I began studying at IIN those five people changed for me. Suddenly I was surrounded by such positive healthy influences both from IIN’s amazing online community and through the individuals on my health coaching course in Dubai. As a result, those people lifted me up everyday, inspired me to achieve greatness and to continually work hard to become the healthiest and happiest version of myself possible. 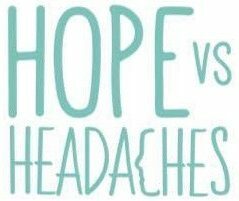 So, as a result, I experimented with different foods, what worked for my body and what didn’t until I found that a plant-based diet significantly reduced my migraines. After becoming sick and losing my dream job, I felt completely lost. I had no idea who I was anymore and where I fitted into the world. However, when I decided to turn my struggle into my strength and began studying at IIN, I discovered this incredible purpose within me that was bigger than myself. I wanted to help others heal and break free from chronic pain. This took the focus off my own suffering and made me focus on how I could help others, which naturally in turn accelerated my own healing without me even trying. Learning from such an incredible array of doctors, healers and practitioners taught me so much, and I used what I had learned and applied it to my own healing. For the first time in my life I was finally getting to the root cause of my illness, treating the whole body as an interconnected system and tuning in to what it was that my body needed in order to heal. IIN changed my life and health and could yours too. If you would like to know more about this incredible course and becoming a Health Coach please click here to find out more information. Previous Entry Do You Make These Common Mistakes When Juggling Work And Headaches? Next Entry Are Your Headache Tablets Actually Giving You A Headache?